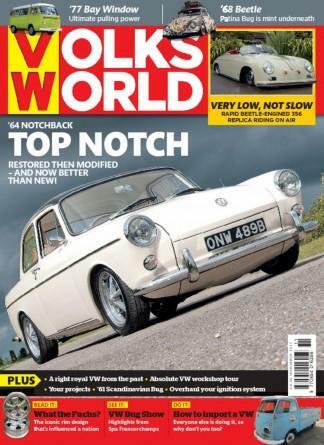 Get a subscription to VolksWorld magazine, Britain's best-selling Volkswagen magazine. A subscription to VolksWorld magazine is a MUST buy for all fans of air-cooled VolksWagons and particularly the legendary Beetle. VolksWorld takes pride in going to extraordinary lengths to bring its readers the most outstanding and fascinating features which cannot be found anywhere else. VolksWorld magazine is a major part of the VW scene, be sure to be a part of it by investing in a subscription. It covers the very best vehicles worldwide from full blown modified cars through to the original providing inspiration entertainment and scene-defining information to its readers. VolksWorld magazine also reaches into exhibitions with the annual VolksWorld Show the largest in-door VW event in Europe. So if you are a VW enthusiast, don't delay, treat yourself to a subscription to VolksWorld magazine today! Be the first person to tell us what you think about Volksworld (UK) and you'll save $5 on your next purchase!